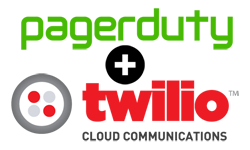 We use Pagerduty and Slack at work. We used to use HipChat (we still kinda do). 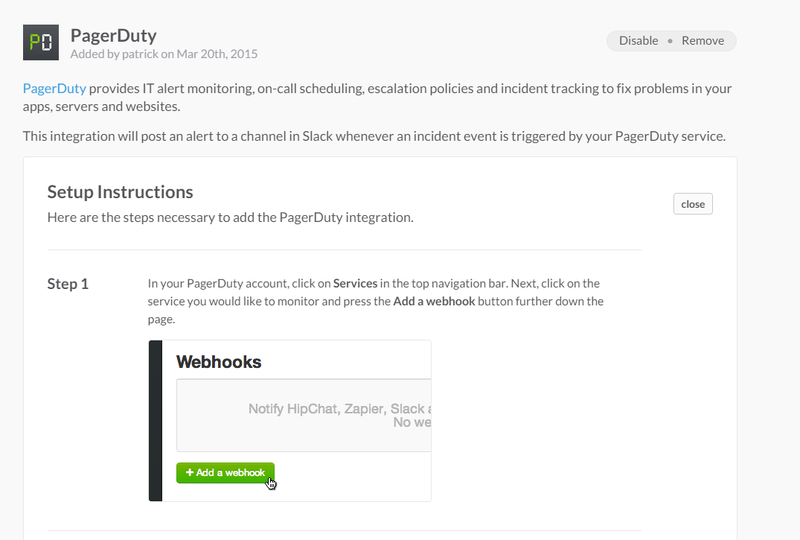 We had webhooks from pagerduty sending messages to our HipChat rooms, now we want to do that in Slack. 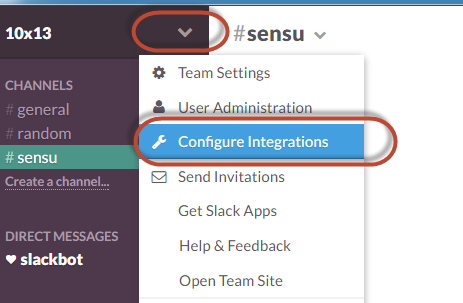 Luckily Slack has created a nice integration for it. 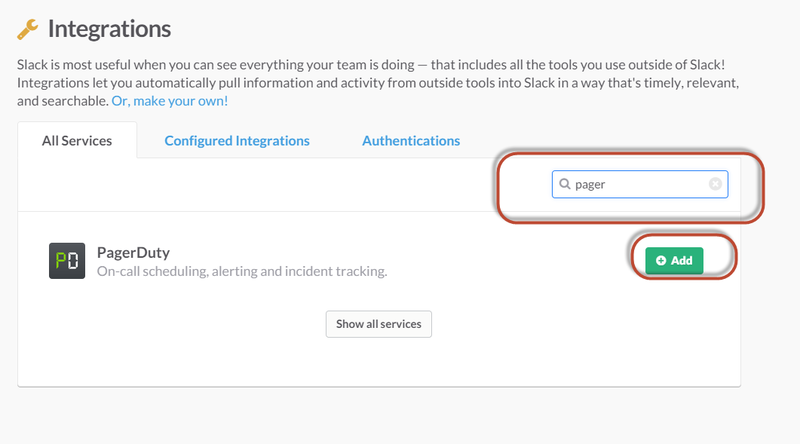 Here is how to add the Pagerduty integration and how to use it. 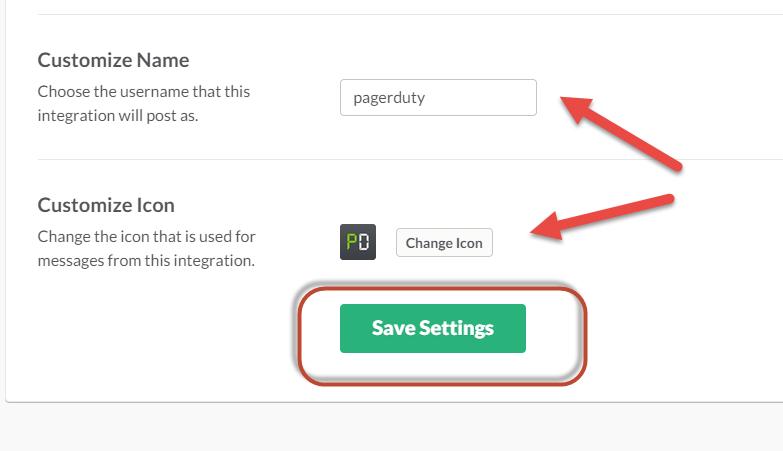 Click Add next to the PagerDuty integration. 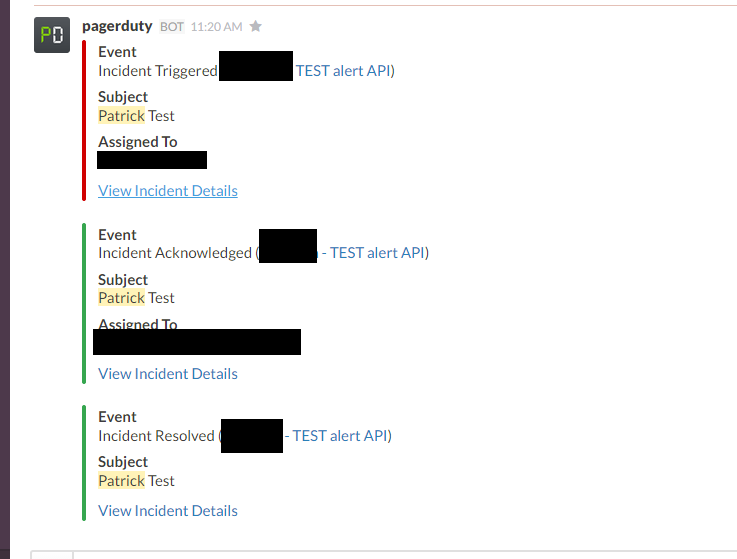 Choose a channel to post Pagerduty message to. A page with instructions should pop up. 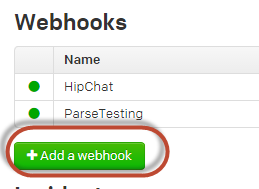 In the instructions they give you a URL to put in your Pagerduty webhook. Give it a name, post the URL here and click Save. 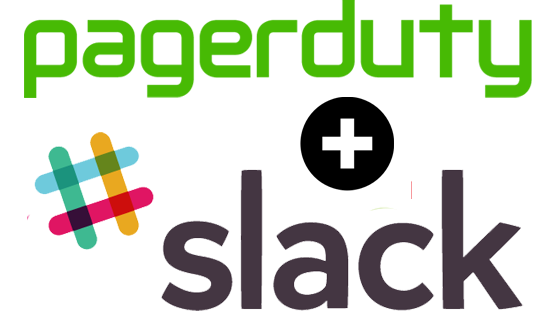 Go back to the slack integration page. Select which notifications you want to receive. If you want, you can switch the name or custom icon. I am going to leave mine as is. Nice, it worked. Click here will open the incident in a web page were you can acknowledge it or resolve it. Here you can see it posted when the incident was acknowledged and resolved as well.